It seems like everywhere you look nowadays, you’ll find some sort of advertisement, inviting us to “Go Green”. There have been considerable efforts from all sorts of entities including: governmental sectors, for-profit and nonprofit industry divisions, the media, and etc., to build awareness and encourage the general public to take on a proactive approach. Not only is a good idea to conserve, but a personal responsibility we all should take into account. It’s a matter of duty to ourselves, to each other (humanity), and for all forms of life; for the overall betterment of the entire planet as well as for the future generations to come. We may know of such a responsibility, but do our children know of it? We need to educate our children, so that they understand and comprehend that they too play an important role in this matter. It might be a good idea to start off with an introduction or present them with a bit of background information. Starting them off with a bit of background information will give them a bit of a foundation and help them grasp the concept you’re trying to introduce. I would start off with a book and a field trip. I would suggest trying to find a fun and interactive dinosaur book (with lots of gadgets and fun little snippets in it) or a elementary science book from a museum like the Natural History Museum or the Discovery Center (read it after the field trip). You might want to try your local library for books, if buying one isn’t an option. You could also take the books that you already have and incorporate some conservation concepts into the storyline. For example, in the book Giving Tree, the tree gives the boy everything he ever asks for. I would ask questions. What do you suppose would happen if we don’t conserve and protect our planet? Would the tree have been able to give the boy everything he ever wanted? Would the tree be there if we weren’t careful? I would also mention the fact that the planet is very much like the tree; very giving. I would also mention that we should only take what is needed and to give back. The EERE and EIA websites has a fantastic section for kids and parents. Both websites provide a wealth of information on conservation, games, tips, and historical facts. If you find you don’t have the time to take your kids to a museum, you could very well organize your activities for your little ones at home. The purpose of having them participate in a few activities is for them to apply what they’ve learned as well as have a bit of fun. You could even run a few activities in vicinity of your own home or backyard. For example, you could hand them each a piece of paper and pens/crayons and make it like a relay race. You could tell them to find things in the household that use up energy (such as your chandeliers, lamps, refrigerator, TV, and etc.) and write them down quickly (for the ones that can’t write you allow them to draw pictures of what they see). The next item on the agenda would be for them to write down as many conservation tips they can think of. At the end of this activity you could have them to present their ideas for you. 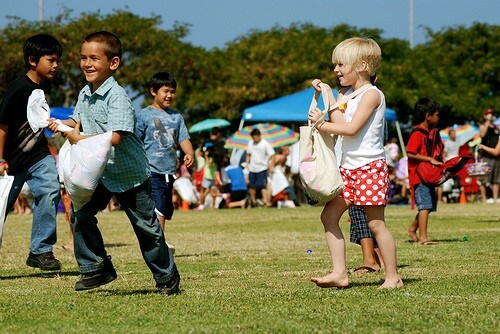 If you’re thinking of running an activity in your backyard, you could have your children search for recyclable materials and non recyclable products and make it a contest. You could also run a few fun experiments with them. The NEED project has few experiments you can use. I would then explain the effects waste, pollution, and energy consumption. You could find images and information by running a search on the internet or checking the websites I mentioned above. After explaining the causes and effects, you could have your little ones draw a scene or two or have them construct a diorama (reflecting a cause and effect). I would then tie this subject into why it is so important to conserve and take care of our planet. There are so many ways to educate children in matters such as these. Having them learn from information you’ve gathered or dispensed, conducting drawing activates and field trips are brilliant ways to introduce the concept, but the point is to educate them, so that they understand that they play an important contributing factor in all of this! This entry was posted in Living and tagged Conservation, Energy, Living.